Back in the time, cancelling the flight was more of a defeat for passengers than a triumph. Before DCGA imposed their strict rules, the airlines were allegedly charging the flight cancellation fee more than the base fare (price of the ticket before fee, taxes and surcharges). Passengers who were cancelling a ticket worth amount say 2,419 were getting only Rs. 404 as a refund against flight cancellation. This clearly shows that the burden of flight cancellation fee was creating a hole in the pockets of the passengers and the airlines didn’t have any say in this. What DGCA imposed to deal with this hypocritical situation? The DGCA after reviewing the problems worked on it by stating that the airlines will not charge the flight cancellation fee more than the base fare. Ever since the DGCA realised how burdensome the cancellation fee is for the flyers, the strict monitoring and regulation have started to keep the interest and hardened money of passengers safe. According to govt, cancellation charge should not be more than basic fare + fuel surcharge. The levied statutory taxes along with user development fees and passenger service charge are deemed to be paid off in full. 1. Nil Cancellation – Many airline ticket booking platforms offer an option of “ free cancellation “. The option is strictly applicable to the one-way domestic flights. For some platforms, the cancellation fee is between Rs. 99 to 549 and for others, it starts from Rs. 149-199. However as a flyer, always read between the lines and know whether the fee is applicable for your route map or not. As these platforms offer such benefits only for a particular route. 2. Getting ahead with the travel Insurance – kudos! if you are covered under travel insurance as it will easily cover your flight cancellation costs. Many popular travel platforms have the well-sorted travel insurance that covers the cancellation fee to an extent. You can easily fuel the charges or fee from insurance but only if the reasons which are “stated by you” are parallel to the reasons “ mentioned in the travel insurance”. Is that even possible to completely cut off the cancellation fee? Well, the subject is completely arguable and has no clarity until a judgement is passed. In the draft the DCGA has some coming up propositions that will easily allow the passengers to cancel the ticket without developing a burden of paying evasive fees. The deal is that passengers must cancel the ticket within 24 hours of booking or at least must inform the airlines about such cancellation before 4 days of departure. However, the plan is still under pipeline but soon the flyers can expect this in working. 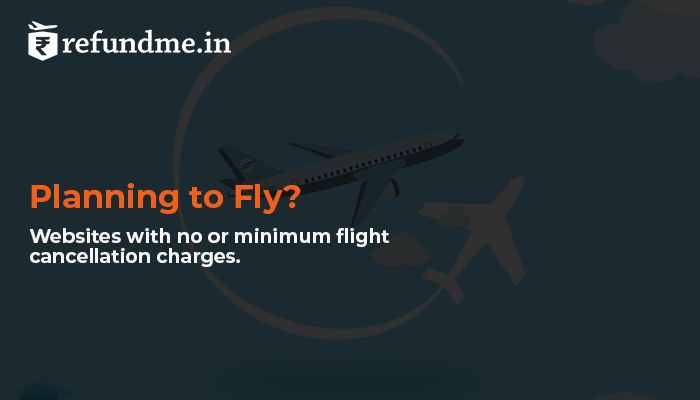 Know your complete passenger rights with refundme.in and learn how to rightly claim for cancelled flight by learning how flight cancellation compensation in India is paid out. Denied boarding despite being on time? This is the compensation you need to ask for! Here are the reasons why you need to download the Mr. Boie app -right now!